Updated Friday April 6, 2018 by Gloucester Minor Lacrosse Association. Griffins Have a New Look! The Gloucester Lacrosse Association is proud to announce the launch our new logos, colours and font. Just in time to kick off our 48th season, you’ll see the new look within our emails, website and social media pages in the days to come. We are also excited to be able to incorporate it right away into our Competitive Apparel as well as some House League Jerseys for the 2018 season. 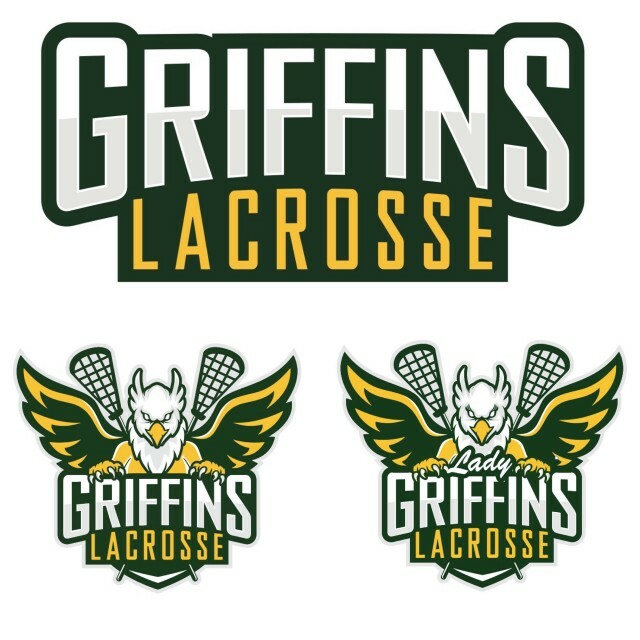 Wanting a new look to help engage and grow our girls program, we have now added a new “Lady Griffins” design that helps this program stand out but still have the look and feel of the Gloucester Lacrosse Association. The GLA is an association that relies on volunteers to help bring us to the next level. This endeavor was no different and could not have been made possible and so quickly, without parent volunteer Rob May. Within a few days, he had created a design that was unanimously voted in by the GLA Board members. We’d like to thank Rob in helping this new logo become our own for years to come. As a non-profit organisation, the task in the next few years will be to transition all of our Competitive and House League Uniforms to the new logo. If you have any previous versions of the GLA logo, we would ask that you assist us in no longer using it. We appreciate your support. If you are looking to sponsor a set of new Jerseys, please contact the Director of Operations, Shawna Burton at shawna@gloucester-lacrosse.com . As part of this transition, the GLA has entered into a partnership with Lacroix Source for Sports on St. Joseph Blvd, in Orleans. We will be offering an apparel catalogue for all members to be able to order from at any time. We will have the apparel catalogue and order forms ready for display this weekend at the competitive tryouts as well as House League sort outs. Lacroix Source for Sports is also offering 15% discount for all GLA families on Lacrosse products (excluding apparel). Looking forward to a successful 2018 season!